I am convinced there is no better flavor combination than ranch and buffalo sauce. We’ve been on a hot wings kick over here with March Madness in full swing and I find myself craving this flavor combination at all times of the day (if you think I’m joking, ask the leftover chicken wings that got eaten at 2 am, and no I am not pregnant). With Easter coming up we somehow found ourselves drowning in hard boiled eggs, and while I love myself a good Egg Salad Sandwich, I decided to find a new use. 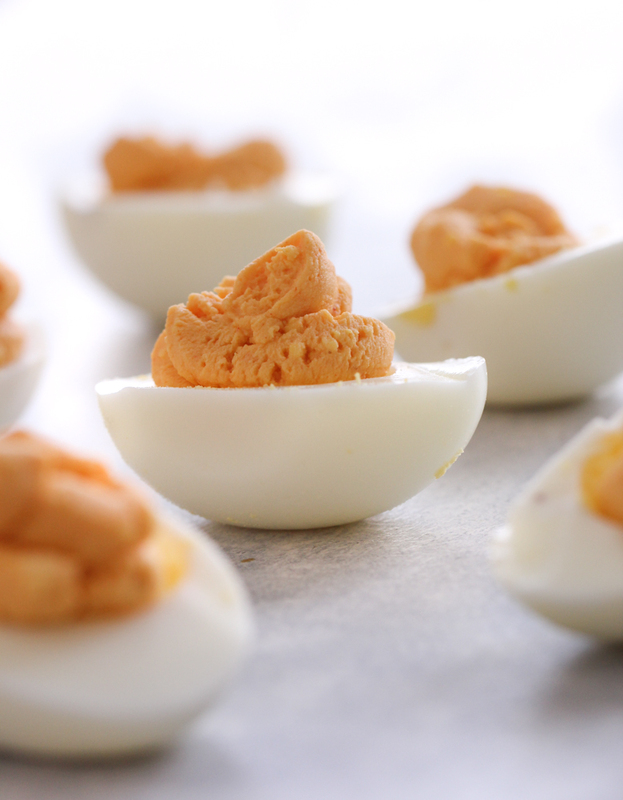 The flavor of ranch and buffalo is absolutely perfect inside of a hard boiled egg. 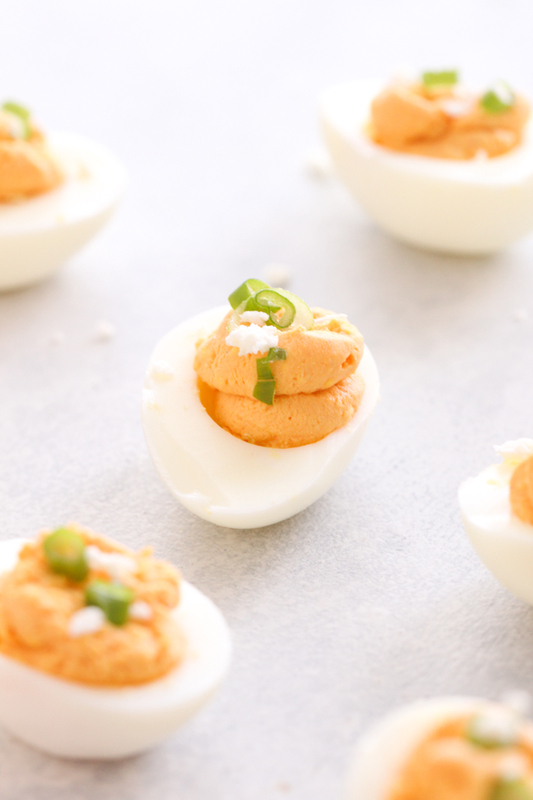 We topped them with green onions and feta cheese. And of course my husband needed MORE buffalo sauce so we added an additional drizzle. Peel and half the eggs. Separate the yolks and place them together in a bowl. Mash yolks with a fork until no chunks remain. Add in the buffalo and ranch and mix until smooth. Scoop 1-2 teaspoons of yolk mixture into egg white. 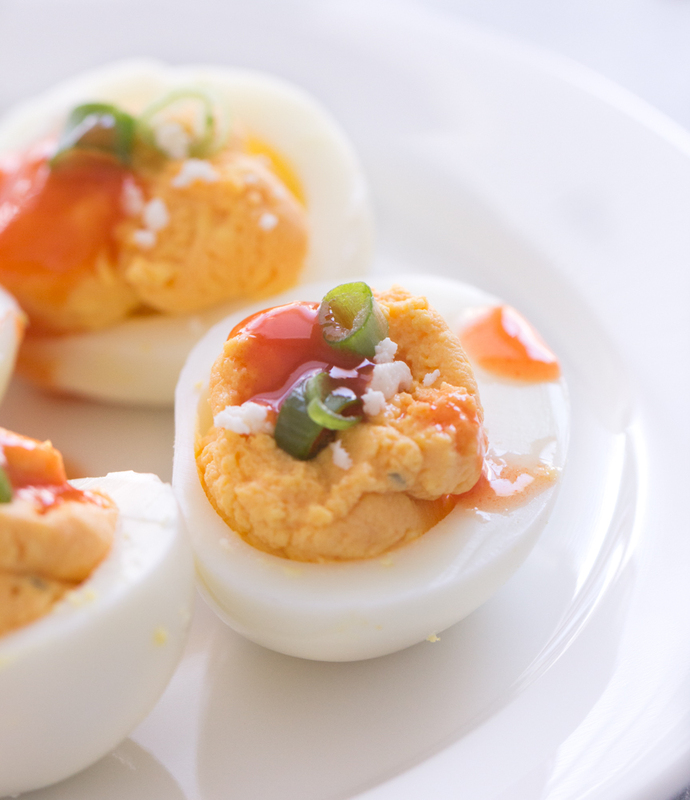 Top with green onions, feta cheese, and more buffalo sauce if desired.